Find what you need online. Online slideshows help you discover the best the web has to offer in an easy-to-digest visual format. Computer users of all ages go online in search of entertainment. Free online games offer interactive fun at a price that can't be beat. Whether you like driving games, puzzle games, or titles in dozens of other categories, you're on the way to finding a new favorite. If you can imagine a visual or textual resource, it's probably online. Are you looking for a map of Canada? You can find it online. Are you looking for an online Spanish dictionary? You can find that, too. Let online slideshows introduce you to the sites that will make your life easier. Going online isn't without its perils. Downloading games from unknown sites can infect your computer with viruses and spyware. Shopping and banking on sites that aren't secure can put your personal information in the wrong hands. Phishing emails try to steal your login and password. 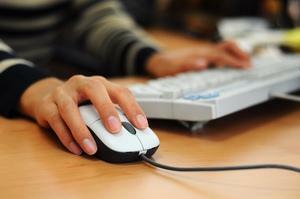 Find out the best ways to stay safe while surfing the web. However, not all of the advice in online slideshows is focused on grim subjects. Helpful online shopping tips can be as simple as looking for a coupon code before you place an order. If you can imagine a visual or textual resource, it's probably online. Are you looking for a map of Canada? You can find it online. Are you looking for an online Spanish dictionary? You can find that, too. Let online slideshows introduce you to the sites that will make your life easier. Some other excellent slideshow topics you'll discover include the following. Slideshows give you an opportunity to see these online resources in action, before you give it a try yourself. The Internet offers an overwhelming amount of content. Online slideshows can help you find the very best sites to visit for your information and entertainment needs.